European cities face big challenges if they want to comply with the Paris Agreement to reduce greenhouse gas emissions. 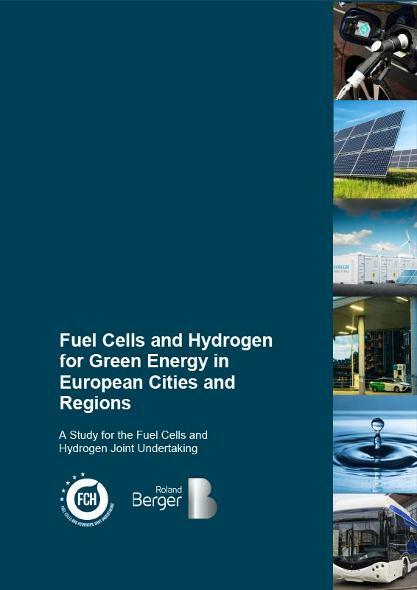 Fuel cells and hydrogen (FCH) technology can contribute significantly towards reducing emissions and facilitating the necessary green energy transition in European regions and cities. Safe, clean and competitive: Europeans cities and regions want to improve local air quality with hydrogen-fueled fleets. "Fuel cell drive with hydrogen is a competitive technology, especially in heavy duty and fleet operation. If the nationwide conversion to emission-free fleets is to succeed, manufacturers now urgently need to invest. Waiting is not an option." FCH technology is to date the most flexible and abundantly available option that stores renewable energy on a large scale, to be used for all energy needs – from transport to building generation and industrial processes. Its usage can improve air quality and create positive health impacts for the local population, thereby enhancing quality of life. According to the recent study „Fuel Cells and Hydrogen for Green Energy in European Cities and Regions”, about 90 European cities and regions plan to invest about 1.8 billion euros in the coming five years to deploy urban buses, cars and vans with hydrogen fuel cells as well as in electrolysers for hydrogen production and power generation.Thanks to their short refueling times and long ranges, FCH-powered vehicles are particularly suited for fleets and heavy-duty transport applications. In the medium term, the surveyed cities also want to purchase suitably equipped garbage trucks, trains and ships. The conversion of local fleets is expected to have not only environmental but also local economic effects: For the German state of Baden-Württemberg alone the authors estimate a value added of around 680 million euros by the year 2030. The Hydrogen Council's vision is to create around 30 million additional jobs globally as well as annual sales of around $ 2,000 billion by 2050 should hydrogen become a global energy carrier, which could then serve up to 18% of global energy demand. While the investment plans of many cities and regions are already very specific, often including the necessary funding, there is a lack of available vehicles. As currently only a few – in particular Asian - manufacturers offer commercially viable buses, vans and cars, demand exceeds supply. Ongoing tenders have apparently already been withdrawn. Additional demand for trucks and trains is expected soon from the private logistics sector. The authors therefore recommend a significant expansion of production capacity, especially for European manufacturers, who so far often produce only upon order or with long delivery times. If the nationwide conversion to emission-free fleets should succeed, manufacturers urgently need to invest. 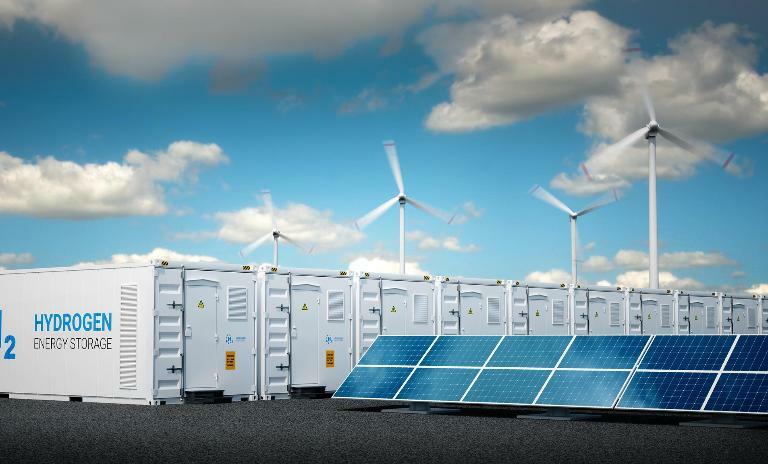 Furthermore, as the pace of the green energy transition accelerates in the years ahead, a large international market for FCH is expected to evolve, opening up new business opportunities for those companies that are prepared. 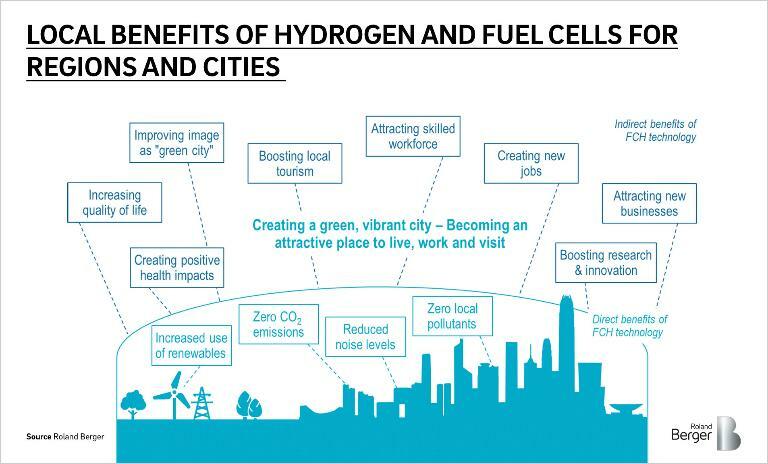 Shaping the green energy transition now: Hydrogen fuel cells play a key role in helping cities meet emission targets.